What Is The Oakland A’s Fanfest? 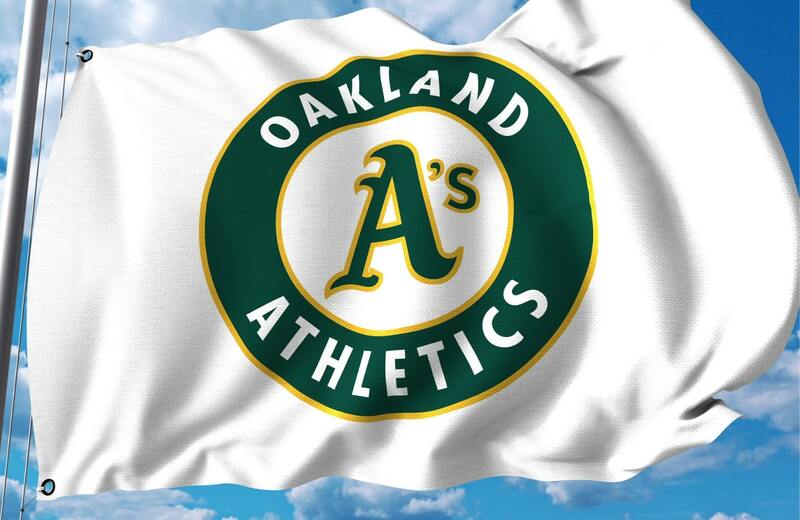 The Oakland A’s Fanfest is a chance for fans of the Oakland A’s baseball team to celebrate their love for the area’s players. This is an excellent opportunity to receive an autograph, ask questions to the players, and pick up A’s swag. The entire team is in attendance, including the mascot and coach. This year’s Fanfest falls on January 26th, which is a Saturday, from 9:30 a.m. to 2 p.m. You can catch the festivities at Jack London Square, right on the water. There are plenty of things to do and activities to partake in, all of which are offered free of charge. That’s right, there’s no cost for admission to this event. As a family-friendly event, there are plenty of fun activities to partake in. The Oakland A’s Fanfest kicks off with a welcome walk that features players, coaches, and alumni. The players are then addressed before a Q&A session on the Ferry Lawn Main Stage. Several other question-and-answer sessions take place throughout the day. You can find various places and opportunities for autographs, as well as a merchandise station selling the entire catalog for this year. As you make your way around the event, take the time to enjoy the inflatable games and consider signing up for the sponsored fan experiences. With the A’s moving to a new ballpark at Howard Terminal, this is also an excellent time to learn more about the redevelopment of the Coliseum site in the Ballpark Experience Area. Members of the design team will be answering questions all day long. Kids can take advantage in the Community Zone, located at the intersection of Broadway and Embarcadero. Face painting, photos with Stomper, and meet & greets with Hall of Fame racers are all a part of the fun. Chevron also hosts their Science of Baseball Showcase, encouraging curiosity in the STEM industry through exhibits and demonstrations. You don’t have to worry about stopping anywhere before or after the event. The Oakland A’s Fanfest features numerous food trucks serving up warm meals free of charge. As for parking, there are some limited areas throughout the streets of Jack London Square, but the Oakland area has ample public transportation. Several alumni are also scheduled to attend the event this year. So, keep your eyes peeled for greats from the past. As always, the goal for any fan is to get as many autographs as possible. Fourth Street East places you right in front of the action during the Oakland A’s Fanfest. These apartment homes usher in a new chapter in the life of Oakland’s waterfront, as well as those that call Jack London Square home. An unlimited number of moments in the making, Fourth Street East redefines luxury living. Keys to Fourth Street East unlock more than an apartment. They provide access to communal areas in both buildings, indulging residents year-round perks and pleasures. Residence features include the finest in modern finishes, while carefully curated amenities cater to your every need. Kitchen islands and French door refrigerators are complimented by waterfall edge quartz countertops as well as recessed lighting underneath slow-close cabinets. Wood-look luxury flooring leads to private deck, while luxury tubs feature tile surrounds. Custom MechoSystem roller shades, Smart Nest thermostats, and smart light switches reduce your carbon footprint while making life simple. Keyless entry systems help you feel secure, while features like spacious walk-in closets are always accommodating. Fourth Street Easts amenities allow you to relax after a long day in the pool and spa, library lounge, and rooftop sky deck. Handle the day’s obligations in the co-working lounge, get to where you need to be easily via transit screens, and let the 14-hour package storage hang onto your Amazon shipments. Entertain guests in the grilling areas or mingle with residents in the fireside lounges. Pamper your furry friends in the pet spa or get hands-on in the DIY workshop. The possibilities here are endless. Your premier location on Oakland’s Waterfront Warehouse District give you immediate access to a thriving residential hub that has earned its place amongst the National Register of historic Places. Enjoy simple commutes to San Francisco, dozens of fine dining locales, and premier entertainment throughout the easily walkable Oakland area. A short car or bike ride away, you can escape into the great outdoors via Lake Merritt or bask in the sun on the Martin Luther King Jr. Regional Shoreline. Looking to satisfy your inner shopaholic? There are plenty of retail opportunities ranging from name-brand stores to startups and art galleries. These luxury apartments are redefining the definition of elevated living. We invite you to experience what living life to the fullest in the Bay Area is like. Fourth Street East turns the page to the next chapter of life in Jack London Square, offering an unlimited number of moments in the making for you to seize. How will you fill your pages? Two apartment buildings, one street, one vision. Welcome to Fourth Street East.